“Tenhama” is actually the popular abbreviation of Tenryuu Hamanako Line! This is a truly touristic Railway Line that runs from Kakegawa JR Station to Shinjyohara Station, the last station in Western Shizuoka. It includes 11 Meiji Era Stations registered as Cultural Assets! You will also discover many attractions worth a stopover. Buy either a full-day ticket or a two-day ticket which will represent half of the real price with the added advantage to get off and back on again as many times as you want! Kakegawa-Kakegawa Shiyakusho Mae-Nishi Kakegawa-Sakuragi-Ikoi No Hiroba-Hosoya-Harada-Towata-Enshumori-Enden-Tootoomi Ichinomiya-Shikiji-Toyooka-Uenobe-Tenryuu Futamata-Futamata Honmachi-Nishi Kajima-Gansuiji-Miyaguchi-Fruit Park-Miyakoda-Tokoha Daigaku Mae-Kanasashi-Kiga Koukou Mae-Kiga- Nishi Kiga-Sunza-Hamanako Sakume-Higashi Tsuzuki-Tsuzuki-Mikkabi-Oku Hamanako-Ona-Chibata-Oomori-Asumo Mae-Shinjohara. JR Kakegawa Station has five platforms serving eight tracks. The Tōkaidō Main Line Track 1 is served by a side platform connected to the main station building’s north exit and the Tenryū Hamanako Line station. 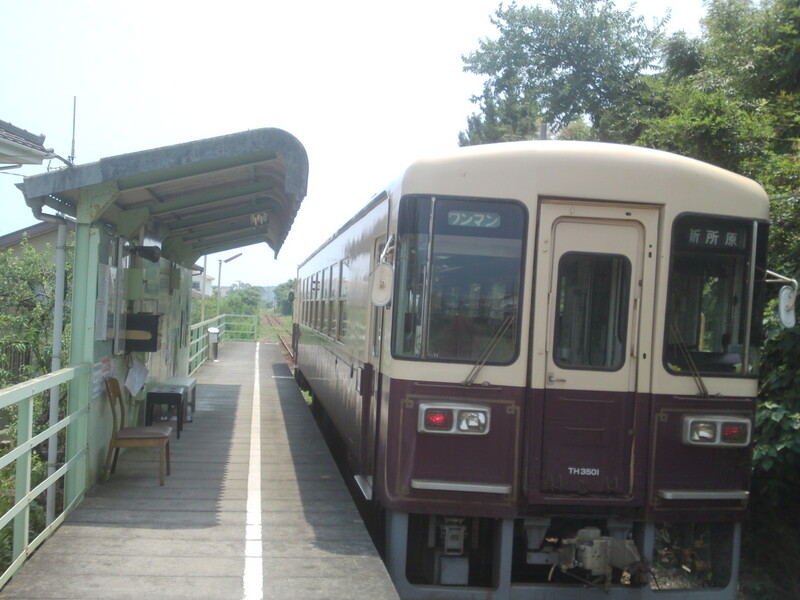 It is used for departing both east and west. Track 2 and Track 3 are served by an island platform. Both platforms are connected to the station building by an underpass, which also connects to the two elevated side platforms used by the Shinkansen (Track 4 and Track 5). 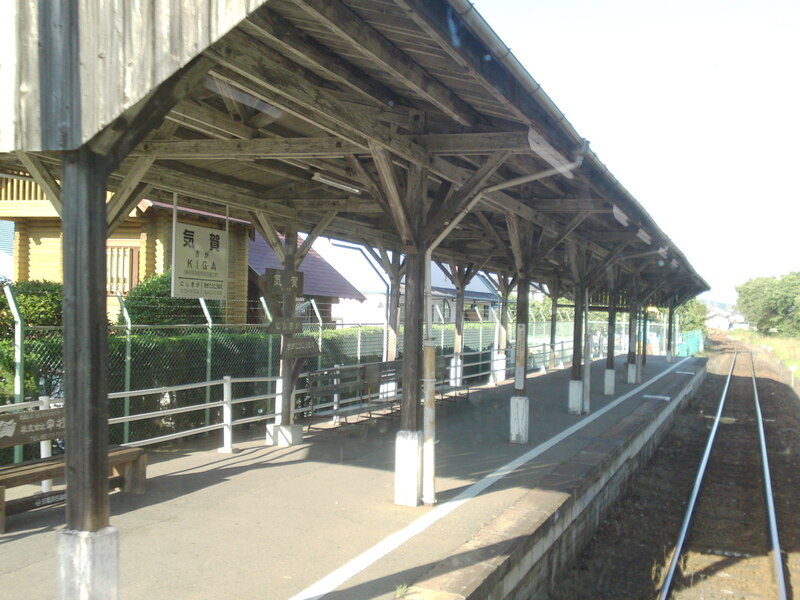 The north side of the station is a wooden structure dating from 1940. The station building has automated ticket machines, TOICA automated turnstiles and a manned “Green Window” service counter. The Tenhama (Tenryuu Hamanako Line) Line Station entrance right of Kakegawa Station North exit. 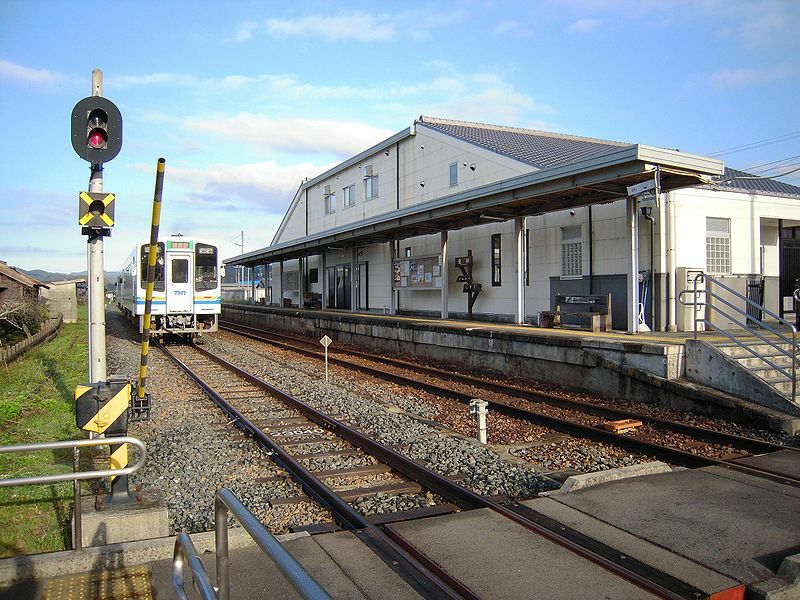 Kakegawa-shiyakusho-mae Station was established on March 18, 1996 as a commuter station after the relocation of Kakegawa city hall to a nearby location. The station is also located in close proximity to a number of large factories. 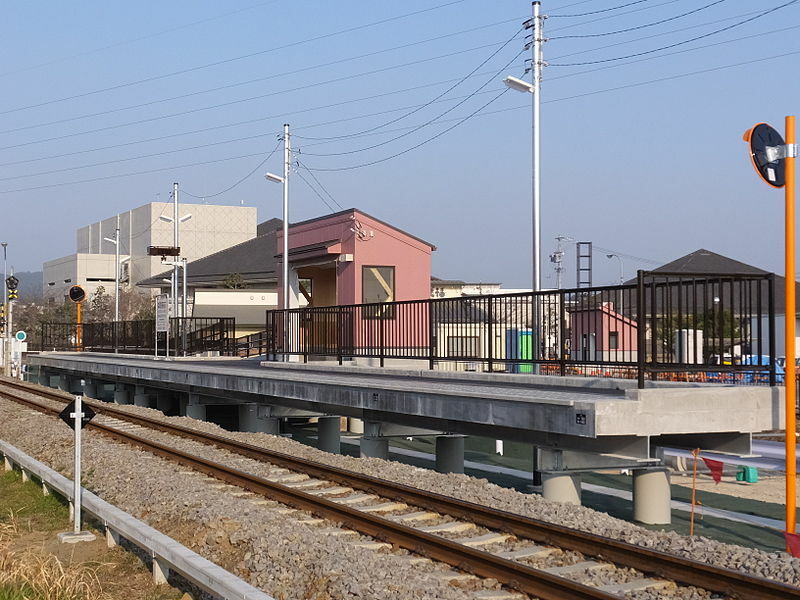 Kakegawa-shiyakusho-mae Station is an unmanned station with a single, elevated side platform. Nishi-Kakegaa Station was established on May 10, 1956 as a passenger station on the Japan National Railway Futamata Line. After the privatization of JNR on March 15, 1987, the station came under the control of the Tenryū Hamanako Line. Nishi-Kakegawa Station is an unmanned station with a single, elevated side platform. 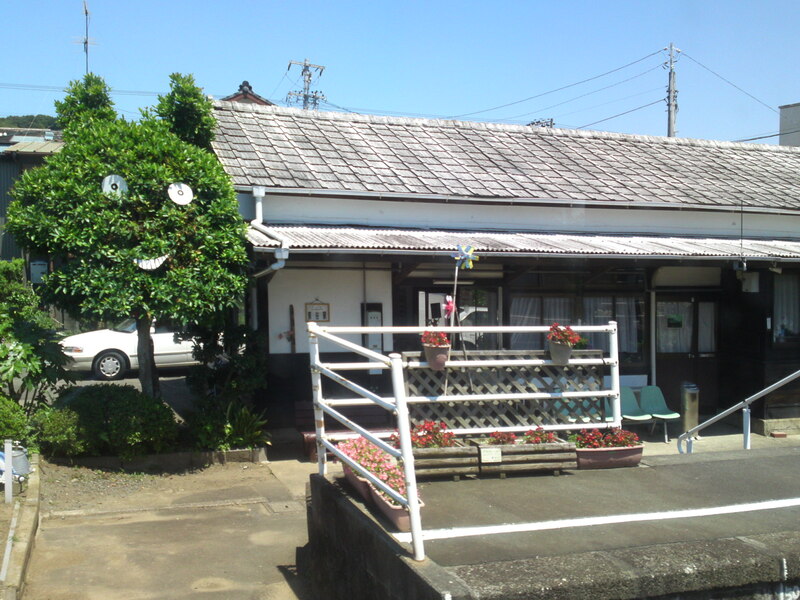 Sakuragi Station was established on April 17, 1935 as a station on the Japan National Railway Futamata line named Tōtōmi-Sakuragi Station (遠江桜木駅?). Scheduled freight services were discontinued from November 1971. After the privatization of JNR on March 15, 1987, the station was given its present name and came under the control of the Tenryū Hamanako Line. 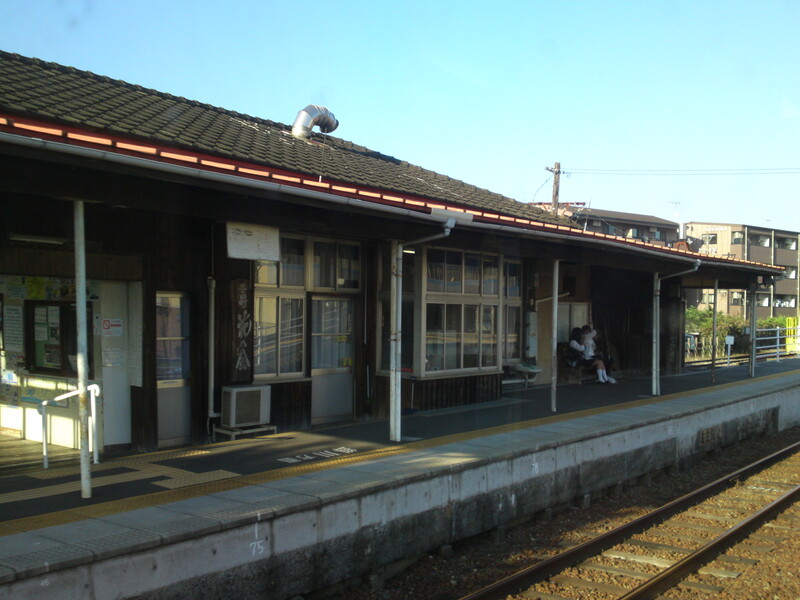 Sakuragi Station has two opposed, elevated side platforms, and a small wooden station building. 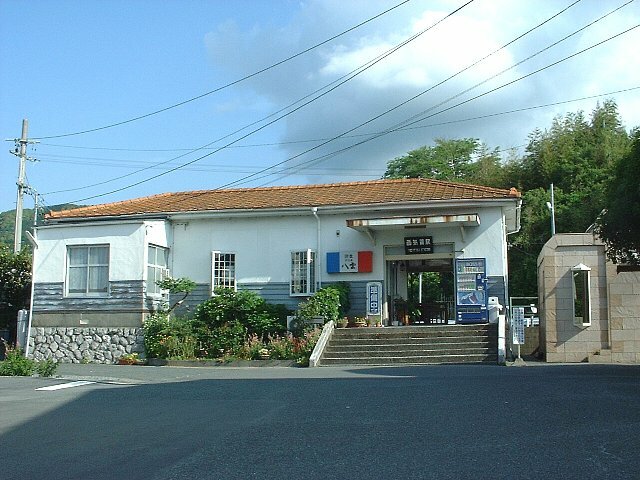 This is the first of the 11 stations nominated Shizuoka Cultural Property/静岡県文化財! Ikoinohiroba Station was established on April 17, 1988, as a temporary station for use during the Shizuoka Prefectural qualifying games of the annual National High School Baseball Championship. Ikoinohiroba Station is an unmanned station with a single elevated side platform, and a small wooden shelter built onto the platform. Hosoya Station was established on May 10, 1956, as a passenger station on the Japan National Railway Futamata Line. After the privatization of JNR on March 15, 1987, the station came under the control of the Tenryū Hamanako Line. 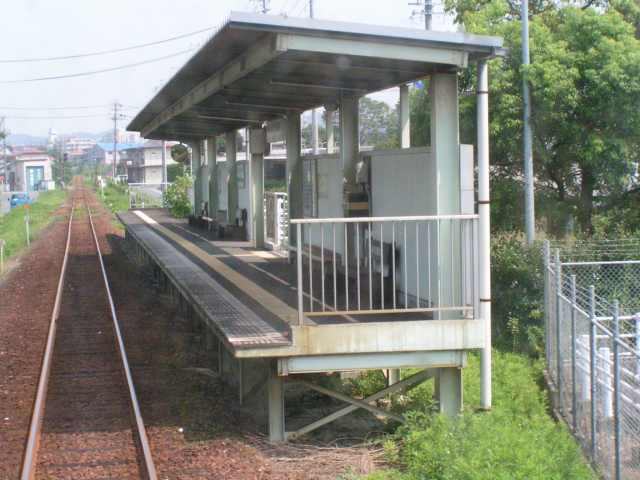 Hosoya Station is an unmanned station with a single elevated side platform, and a small wooden waiting room. Haranoya Station was established on April 17, 1935 as a station on the Japan National Railway Futamata line. Scheduled freight services were discontinued from August 1962. After the privatization of JNR on March 15, 1987, the station came under the control of the Tenryū Hamanako Line. 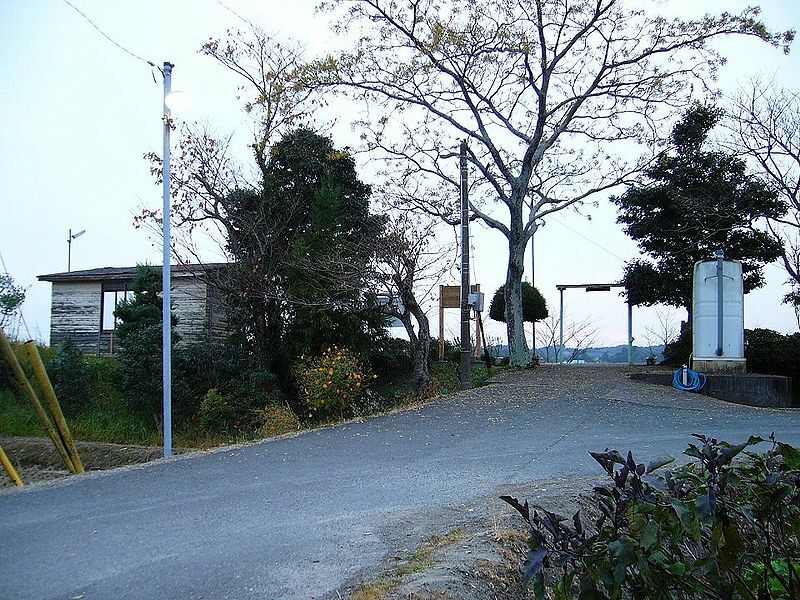 It was used as a set for Water Boys 2 (ウォーターボーイズ2 Wōtā Bōizu Tsū), a Japanese television drama series on Fuji Television in 2004. 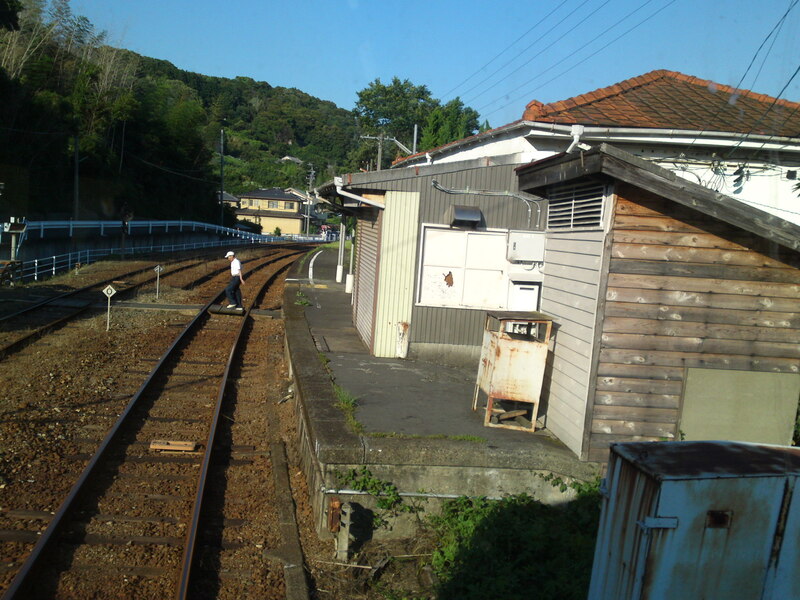 Haranoya Station has two opposed, elevated side platforms, and a small wooden station building. 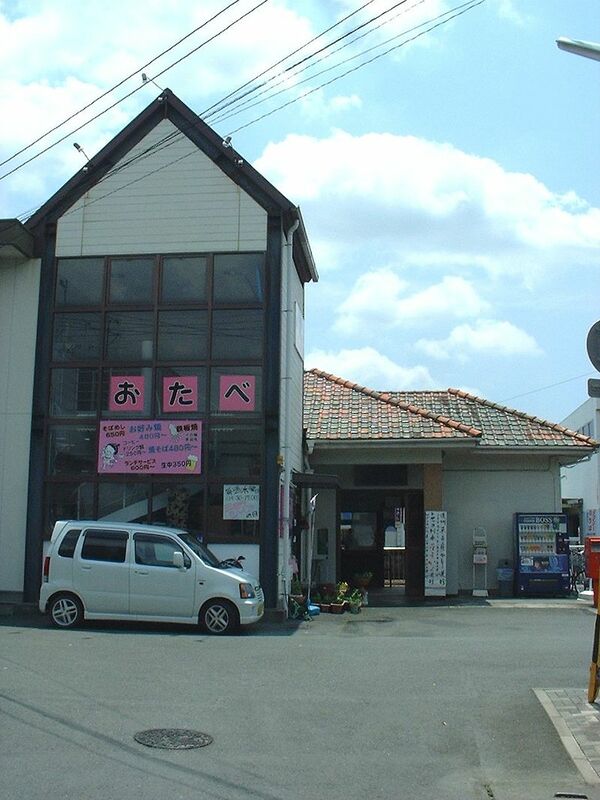 Harada Station was established on March 13, 1988. Due to its location surrounded by hills and rice fields in a relatively unpopulated area, it is often used as a set for movies and TV dramas. 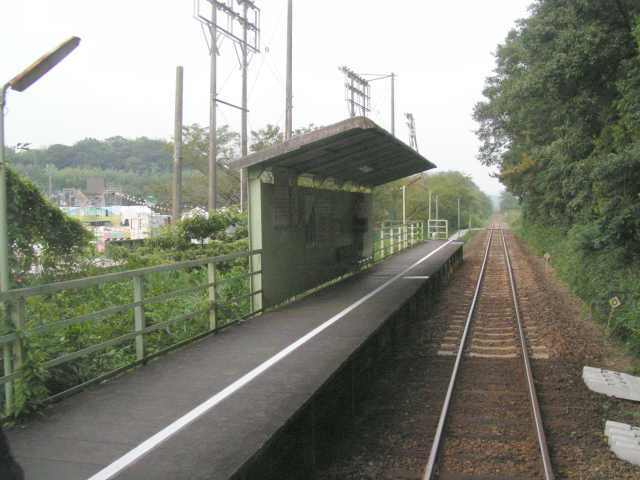 Harada Station is an unmanned station with a single elevated side platform,. 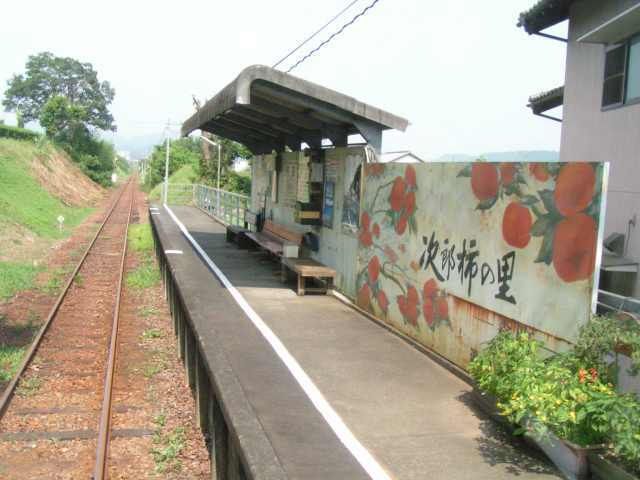 Towata Station was established on April 13, 1960 a station on the Japan National Railway Futamata line. After the privatization of JNR on March 15, 1987, the station came under the control of the Tenryū Hamanako Line. Towata Station has a single elevated side platform. The station is built on an embankment, with a small station building located at the platform, connected to the street by stairs. Enshū-Mori Station was established on April 17, 1935, the terminal station on the Japan National Railway Futamata line, until the extension of the line to Kanasashi Station on June 1, 1940. Freight services were discontinued in 1970. After the privatization of JNR on March 15, 1987, the station came under the control of the Tenryū Hamanako Line. 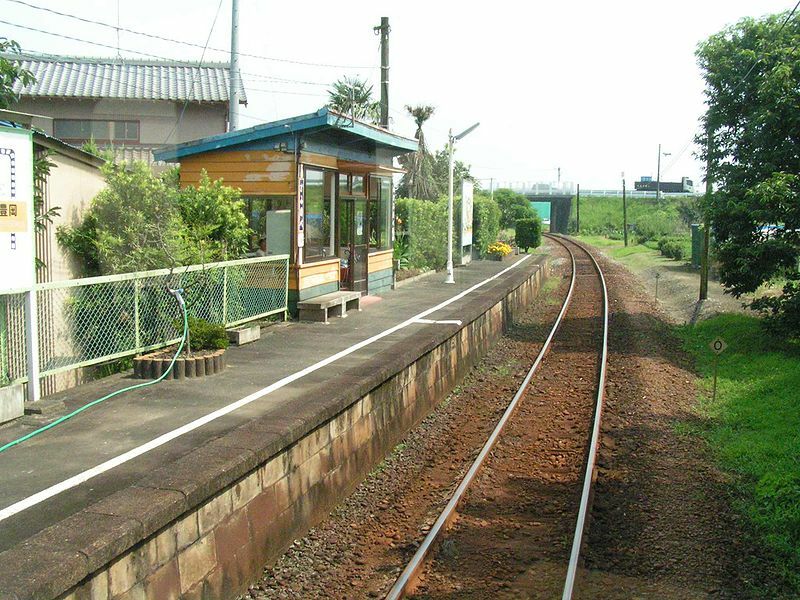 Enshū-Mori Station has a side platform and an island platform serving three tracks. 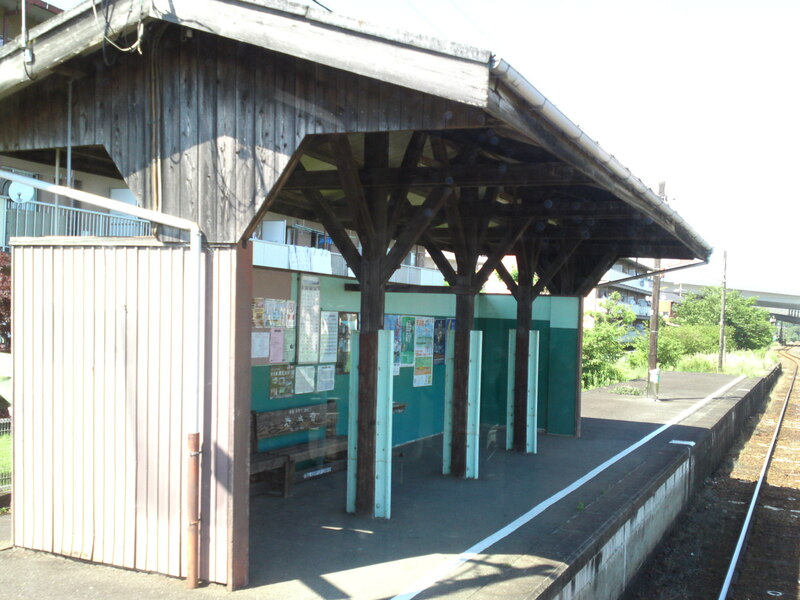 The station building is an old wooden structure. 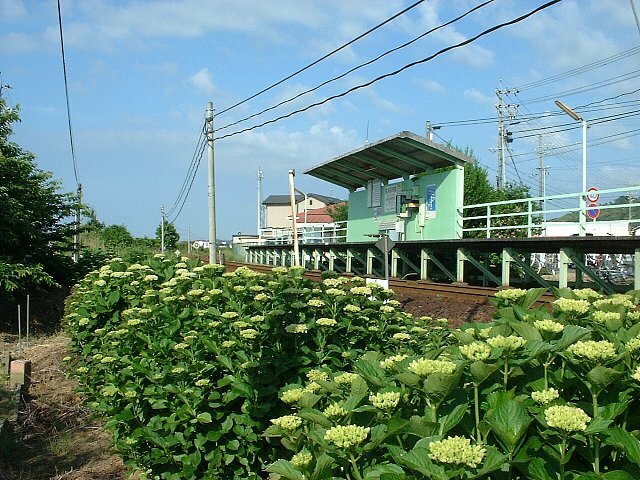 Mori Machi Biyoin Mae Station was established on March 14th, 2015 as a commuter station. Mori Machi Biyoin Mae Station is an unmanned station with a single elevated side platform. Enden Station was established on March 13, 1988 as a commuter station. Enden Station is an unmanned station with a single elevated side platform, and a small wooden shelter built onto the platform. 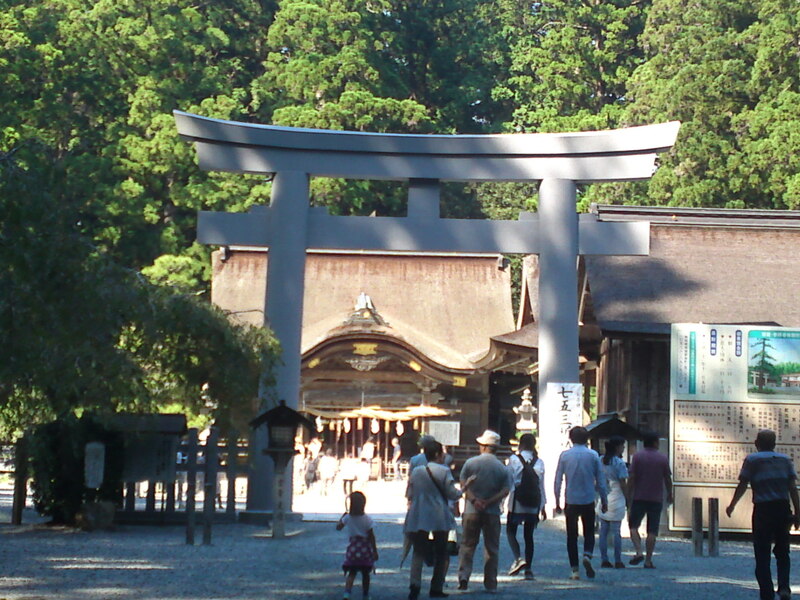 This is also the home of Jirougaki no Sato/次郎柿の里, the place where Jirougaki/squat persimmons were grown in the World! Tōtōmi-Ichinomiya Station is served by the Tenryū Hamanako Railroad Tenryū Hamanako Line. 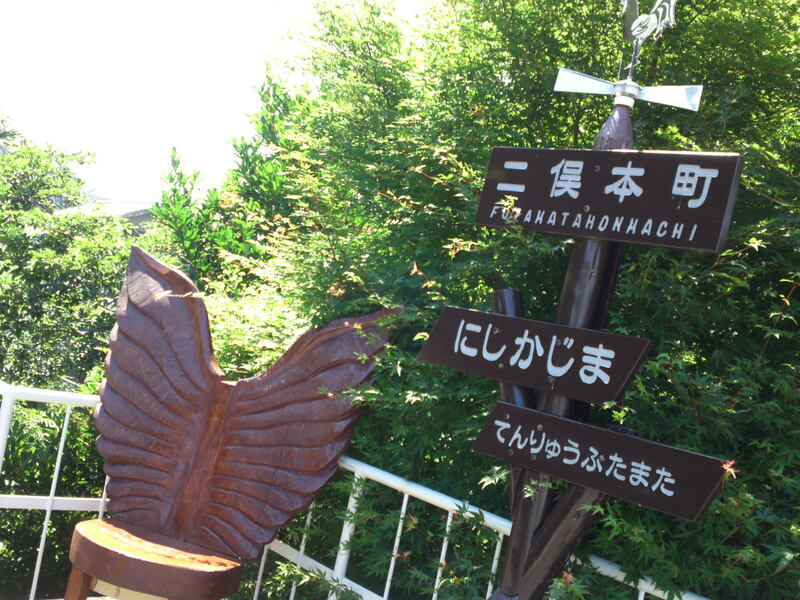 It is 16.4 km from the terminus of the line at Kakegawa Station. Tōtōmi-Ichinomiya Station has two opposing side platforms serving two tracks. The station is not staffed full-time. This is the station to get off at to go and visit one the 4 most important Shinto Shrines in Shizuoka Prefecture, namely OKUNI JINJYA/小國神社! Refer to English Article on Okuni Jinjya HERE! Shikiji Station was established on June 1, 1940 when the section of the Japan National Railways Futamata Line was extended from Enshū-Mori Station to Kanasashi Station. Scheduled freight services were discontinued from August 1962, and small parcel service in June 1970. After the privatization of JNR on March 15, 1987, the station came under the control of the Tenryū Hamanako Line. 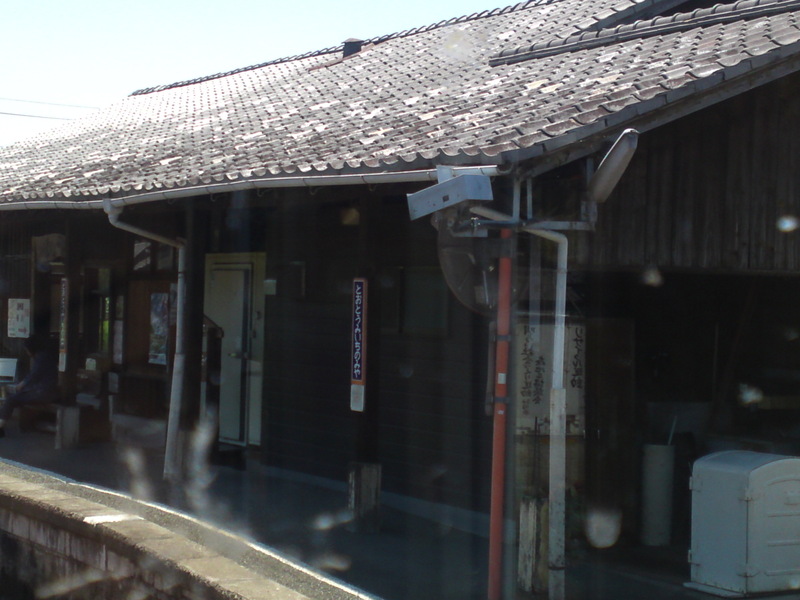 Shikiji Station is an unmanned station with a single side platform connected directly to a wooden station building. 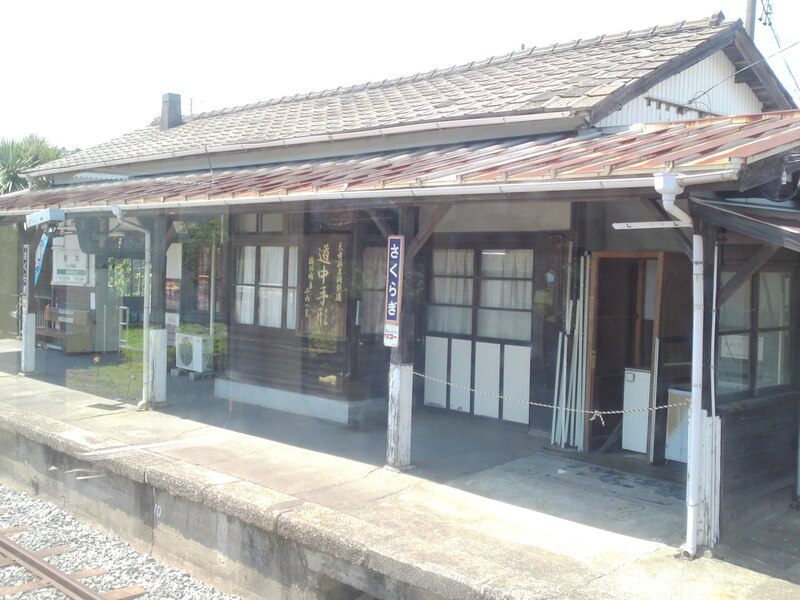 Toyooka Station was established on June 1, 1940, when the section of the Japan National Railways Futamata Line was extended from Enshū-Mori Station to Kanasashi Station. Scheduled freight services were discontinued from February 1964. After the privatization of JNR on March 15, 1987, the station came under the control of the Tenryū Hamanako Line. The station was rebuilt in 2003 through the efforts of the local Chamber of Commerce, and an additional platform was added at that time. 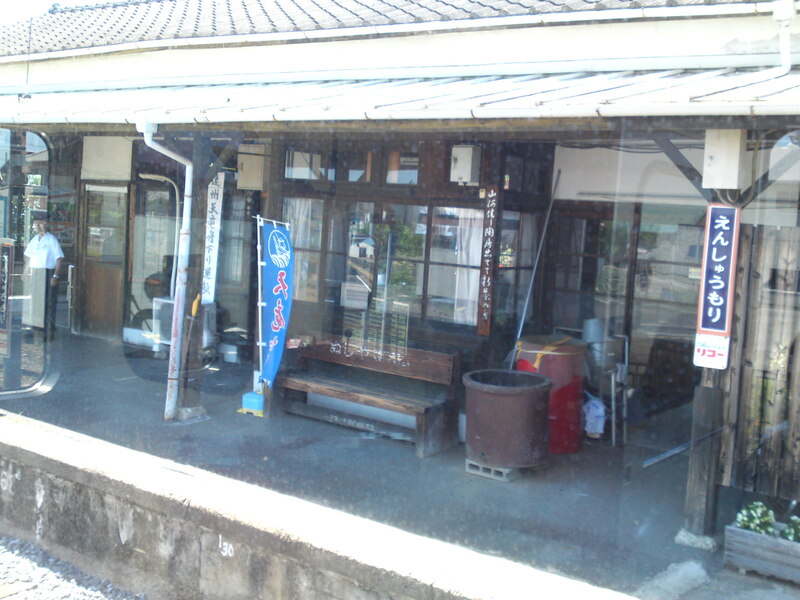 Toyooka Station is an unattended station with an opposing side platforms. A reminder of old times! 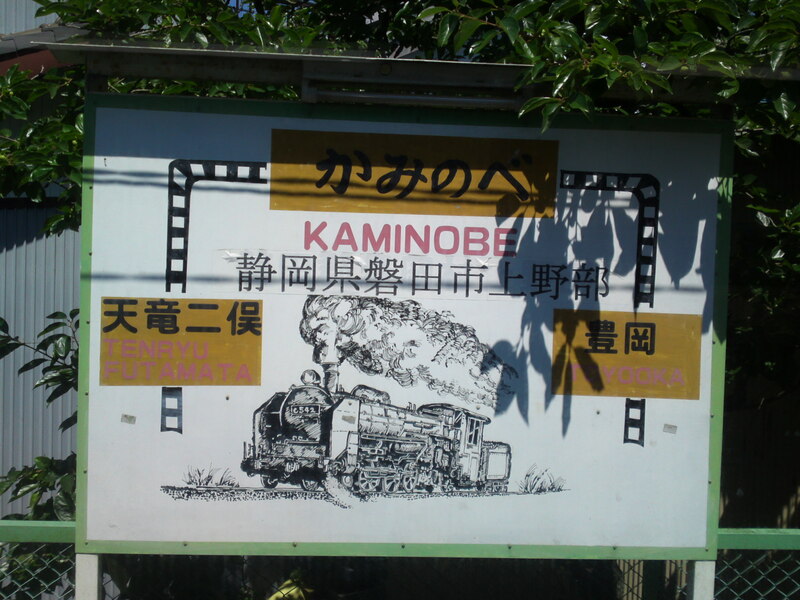 Kaminobe Station was established on May 6, 1955 as part of the Japan National Railways Futamata Line. After the privatization of JNR on March 15, 1987, the station came under the control of the Tenryū Hamanako Line. Kaminobe Station is an unmanned station with a side platform. Tenryū-Futamata Station was established on April 1, 1940 when the section of the Japan National Railways Futamata Line was extended from Enshū-Mori Station to Kanasashi Station. Scheduled freight services were discontinued from 1982. After the privatization of JNR on March 15, 1987, the station came under the control of the Tenryū Hamanako Line. 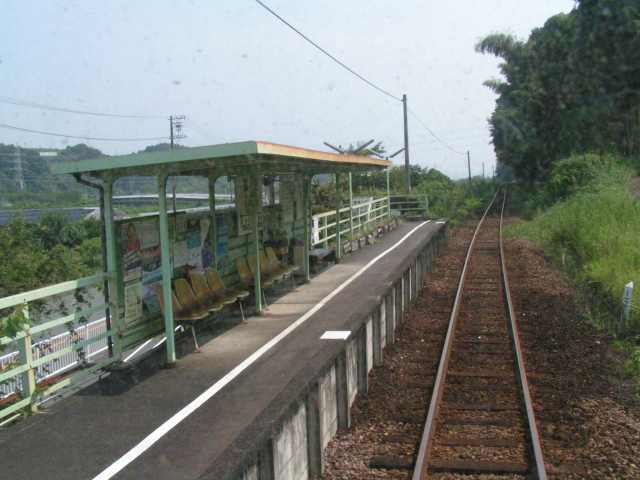 Tenryū-Futamata Station is a manned station with a side platform and an island platform serving three tracks. 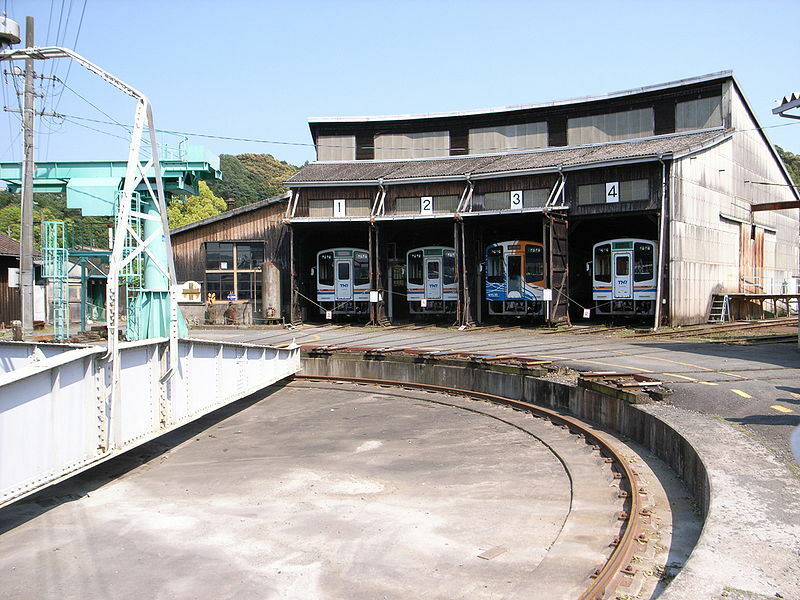 The rail yard for the Tenryū Hamanako Line is located next to this station, and retains the roundhouse and turntable from the days the line used steam locomotives. Both are listed by that national government as Important Cultural Properties under the category of “Heritage of Industrial Modernization”. A monument donated by the local citizens! Futamata-Hommachi Station was established on December 15, 1956, as a passenger station on the Japan National Railways Futamata Line. After the privatization of JNR on March 15, 1987, the station came under the control of the Tenryū Hamanako Line. Futamata-Hommachi Station is an unmanned station with an opposing side platforms. Half of the station building is occupied by a privately operated café. 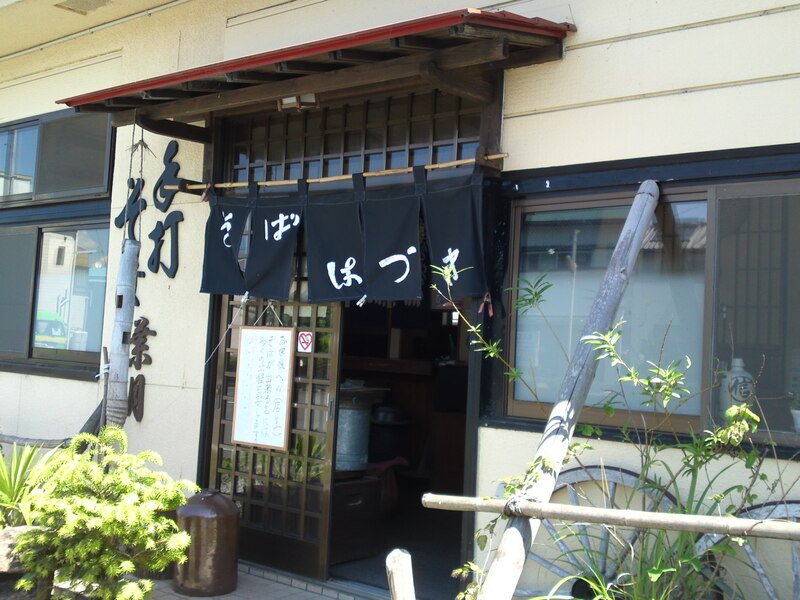 Just a few steps away, you will find great buckwheat noodles at HAZUKI (Te Uchi Soba Hazuki/手打そば葉月)! Nishi-Kashima Station has two opposed side platforms for the Enshū Railway Line and a single side platform for the Tenryū Hamanako Line. All platforms are connected by an underpass. The Tenryū Hamanako Line originally had two platforms, one of which was used primarily for freight services. This platform was destroyed when the Enshū Line repair works were relocated to Nishi-Kashima Station from Enshū-Nishigasaki Station on December 23, 1977. Gansuiji Station was established on June 1, 1940 when the section of the Japan National Railways Futamata Line was extended from Enshū-Mori Station to Kanasashi Station. Small parcel services were discontinued from June 1970, and the station was unmanned after that time. Freight services were discontinued in April 1973. After the privatization of JNR on March 15, 1987, the station came under the control of the Tenryū Hamanako Line. Gansuiji Station is an unmanned station with a single side platform and a single-story station building. Miyaguchi Station was established on June 1, 1940 when the section of the Japan National Railways Futamata Line was extended from Enshū-Mori Station to Kanasashi Station. Scheduled freight services were discontinued from June 1962. After the privatization of JNR on March 15, 1987, the station came under the control of the Tenryū Hamanako Line. 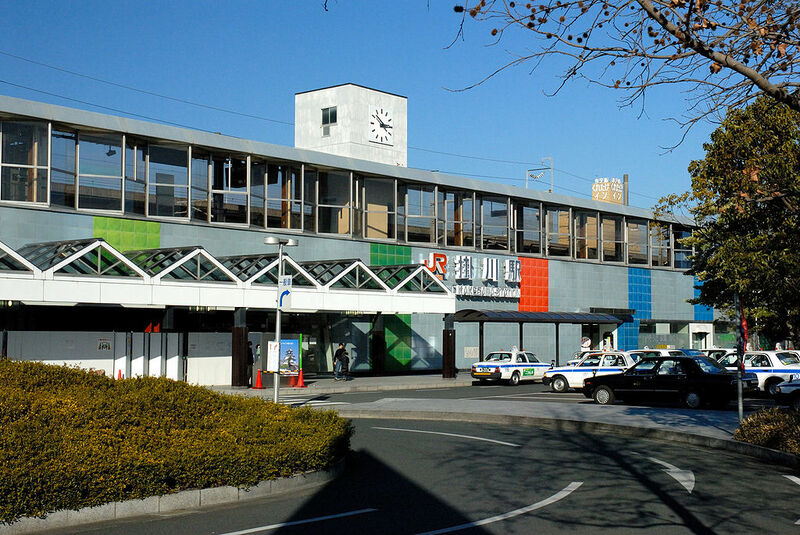 Miyaguchi Station is an unmanned station with a single side platform and a single-story station building. 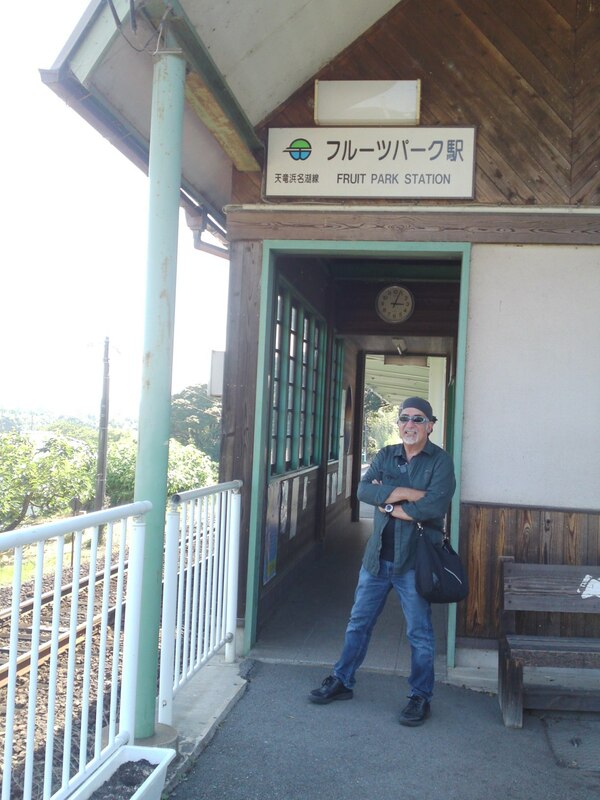 Fruit Park Station was established on March 18, 1996. Fruit Park Station is an unmanned station with a single side platforms with a small station building built directly on the platform. During national holidays it is a popular place for picnics and a station manager is temporarily installed. 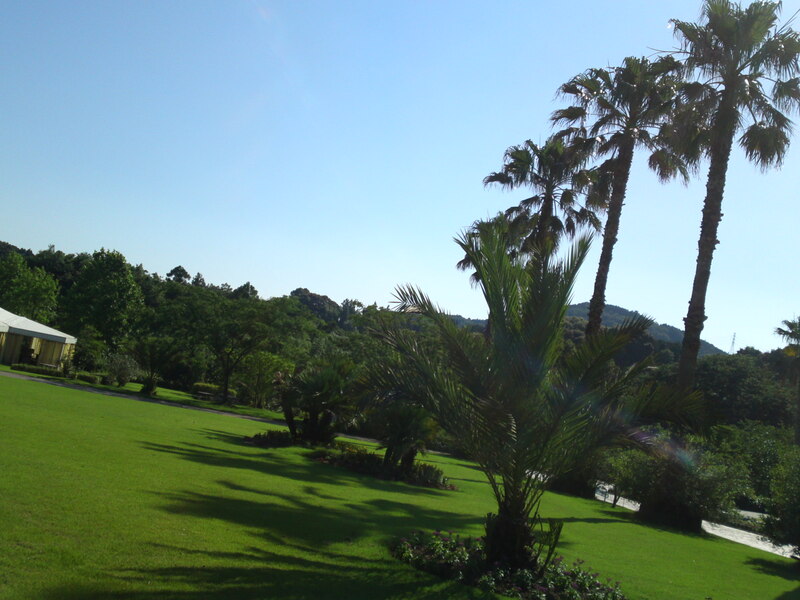 Related article on Hamamatsu Fruit Park HERE! 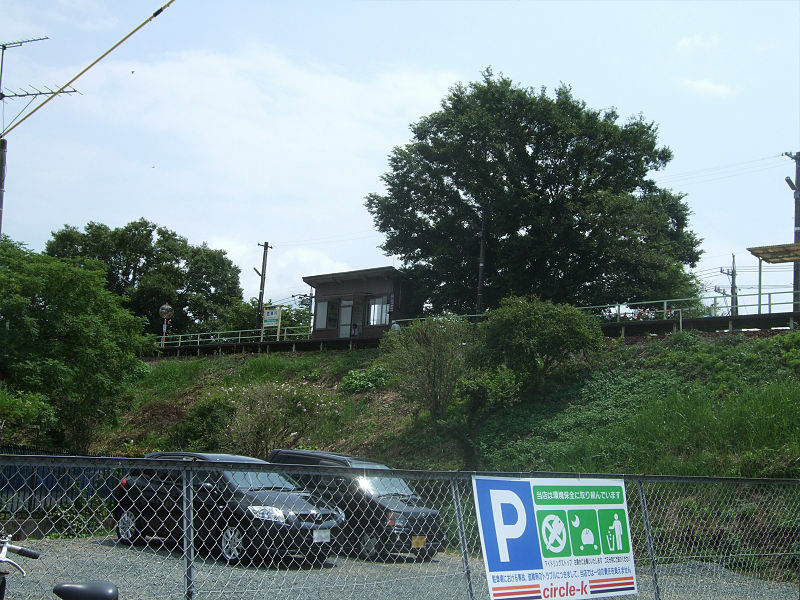 Miyakoda Station was established on June 1, 1940 when the section of the Japan National Railways Futamata Line was extended from Enshū-Mori Station to Kanasashi Station. Scheduled freight services were discontinued from June 1970. After the privatization of JNR on March 15, 1987, the station came under the control of the Tenryū Hamanako Line. 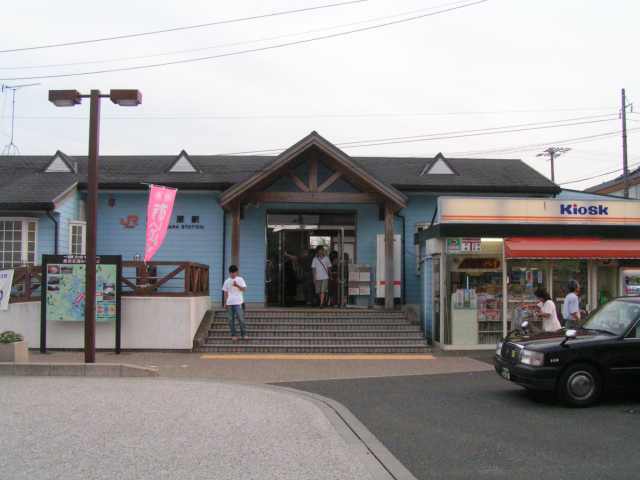 Miyakoda Station is an unmanned station with a single side platform and a single-story station building, which also contains the local pharmacy. The station originally was built with opposing side platforms, but one platform was removed to create a head shunt. Hamamatsudaigakumae Station was established on March 13, 1988 as part of the expansion of services by the Tenryū Hamanako Line after the privatization of Japan National Railways in 1987. It is located to service Hamamatsu University which is within sight of the station. Hamamatsudaigakumae Station is an unmanned station with a single side platform. 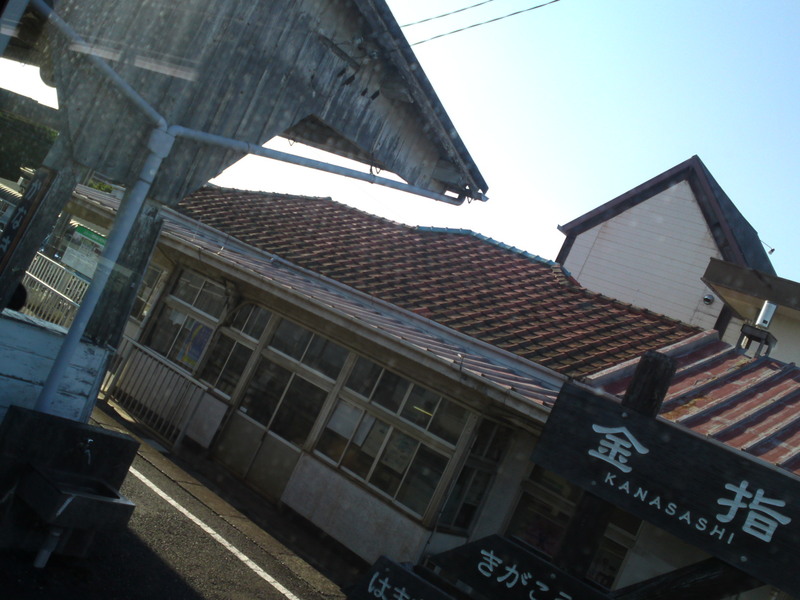 Kanasashi Station was established on April 1, 1938 as the terminal station of the Japan National Railways Futamata Line. The line was further extended to Enshū-Mori Station by June 1, 1940. Scheduled freight services were discontinued from March 1985, marking the final end of all freight services on the line. After the privatization of JNR on March 15, 1987, the station came under the control of the Tenryū Hamanako Line. Kanasashi Station has a single island platform and a two-story station building. 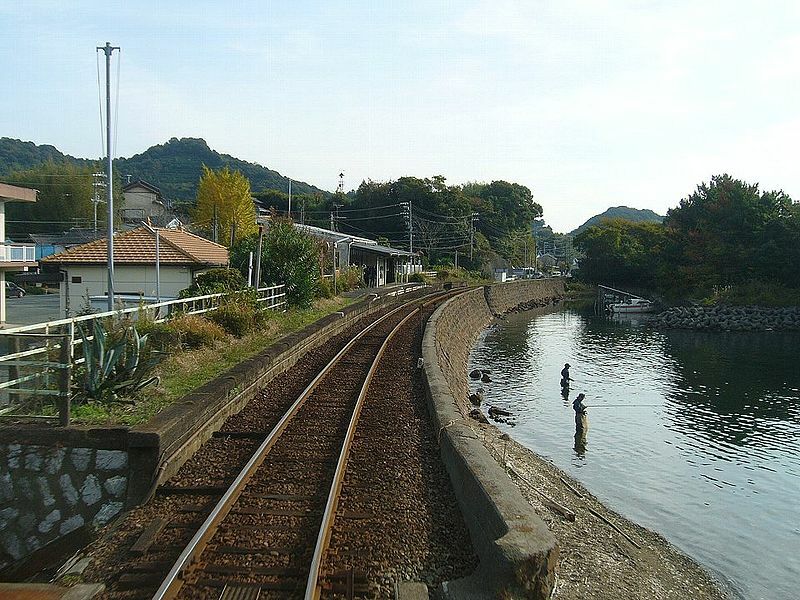 Until 1964, an adjacent island platform to the south of the station served a spur line of the Enshū Railway. The station, originally called Kigakōkōmae Station (気賀高校前駅 Kigakōkōmae-eki), was established on March 15, 1987, the date the former Futamata Line of the Japanese National Railways was succeeded by the Tenryū Hamanako Railroad as its Tenryū Hamanako Line. 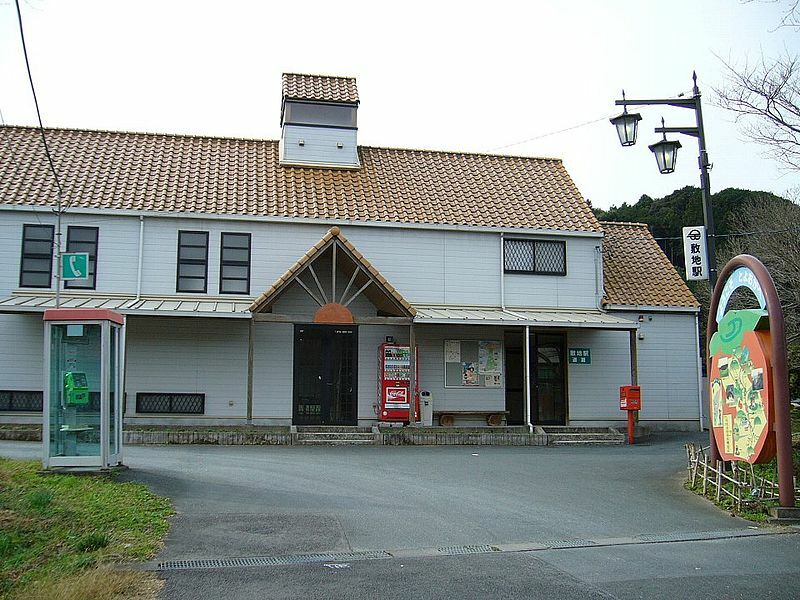 The station was used by students of nearby Kiga High School, from which the station took the name. 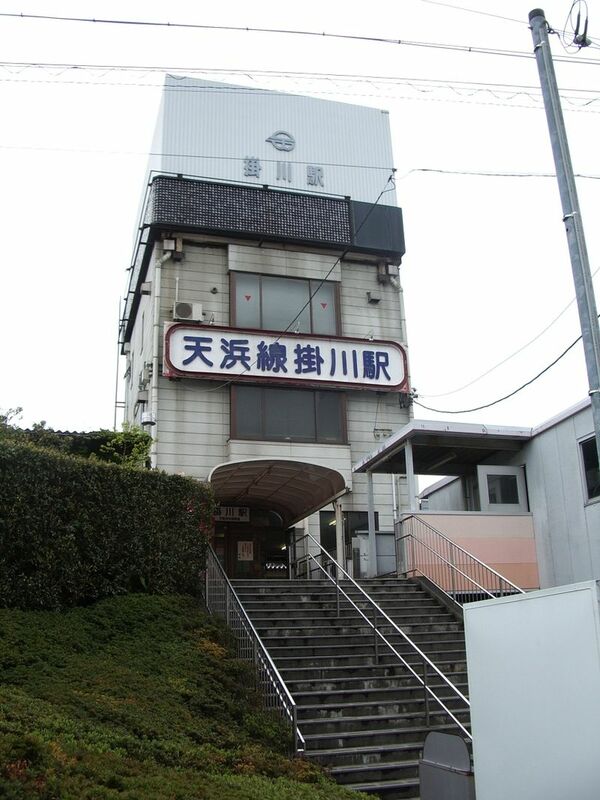 Because the high school was to be closed, the station name was changed to the present one on March 14, 2015, concurrently with the opening of Morimachibyōinmae Station. 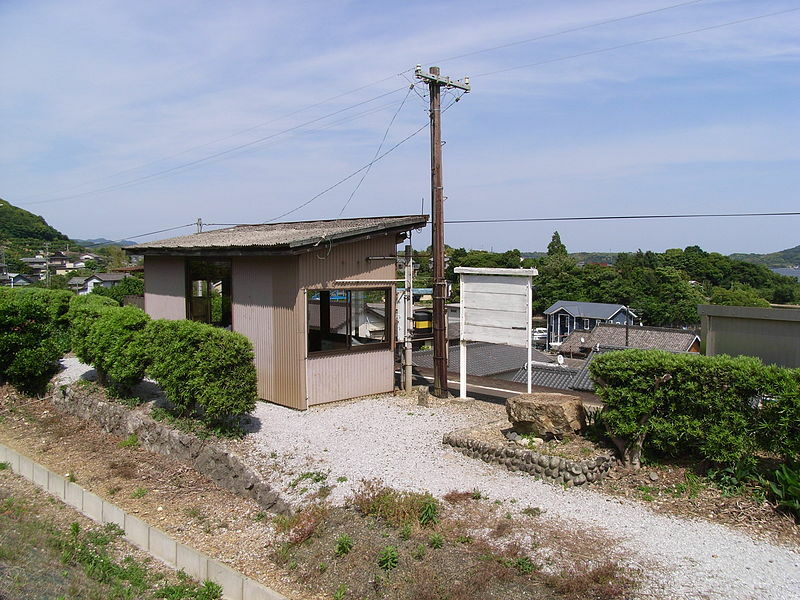 Okaji Station is an unmanned station with a single side platform and no station building. 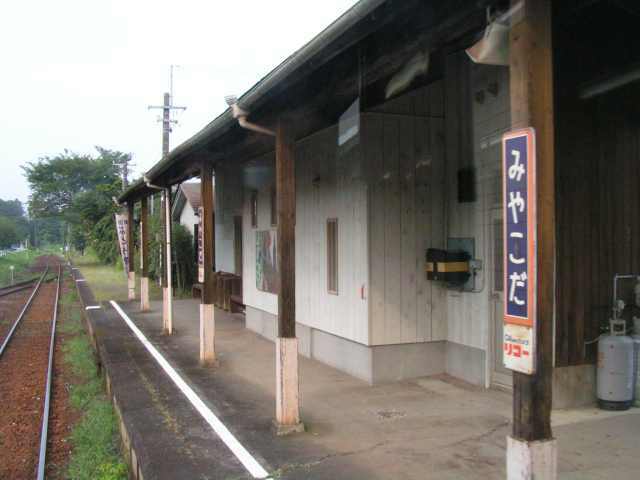 Kiga Station was established on April 1, 1938 as a station of the Japan National Railways Futamata Line. Scheduled freight services were discontinued from June 1970. After the privatization of JNR on March 15, 1987, the station came under the control of the Tenryū Hamanako Line. Kiga Station has a single island platform, with only one of its two tracks in operation. 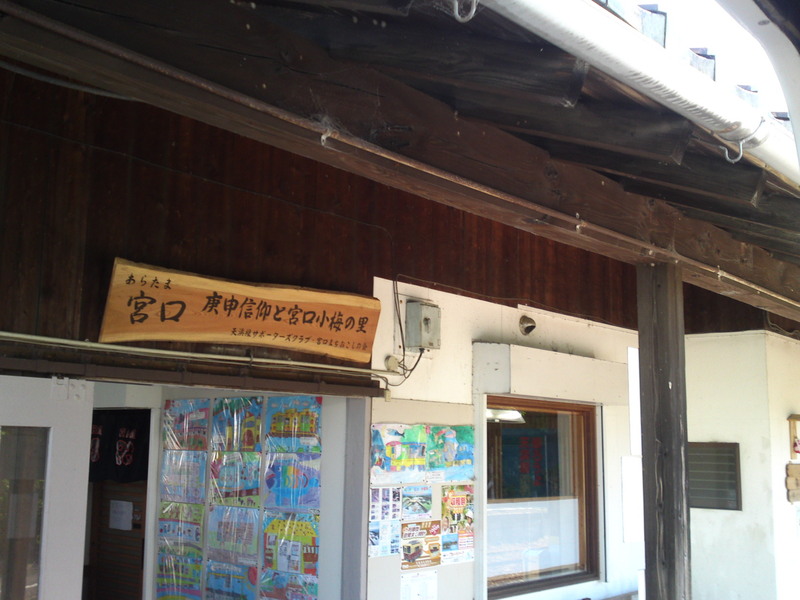 The adjacent a single-story wooden station building, also contains a ramen noodle restaurant. 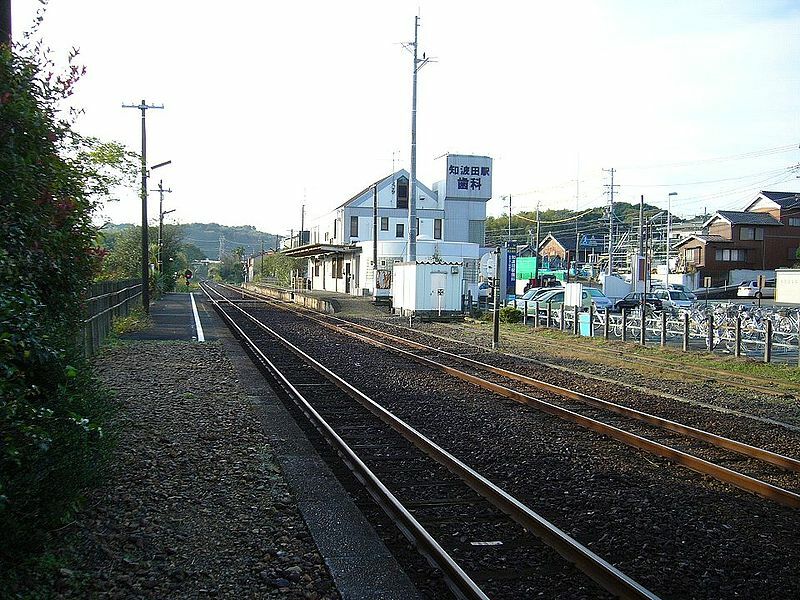 Nishi-Kiga Station was established on April 1, 1938 as a station of the Japan National Railways Futamata Line. Scheduled freight services were discontinued from June 1970. After the privatization of JNR on March 15, 1987, the station came under the control of the Tenryū Hamanako Line. Nishi-Kiga Station has opposing island platforms joined by a level crossing within the station. 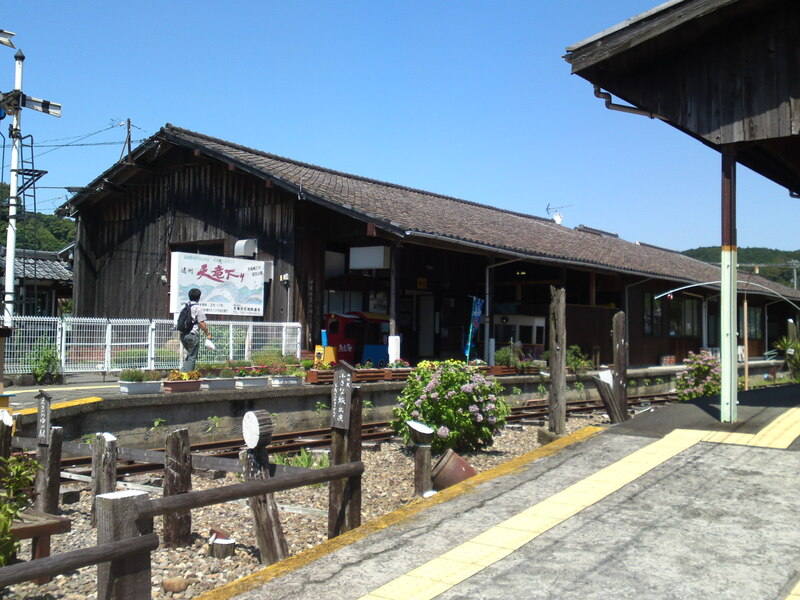 The adjacent wooden station building is unmanned, also contains a restaurant. 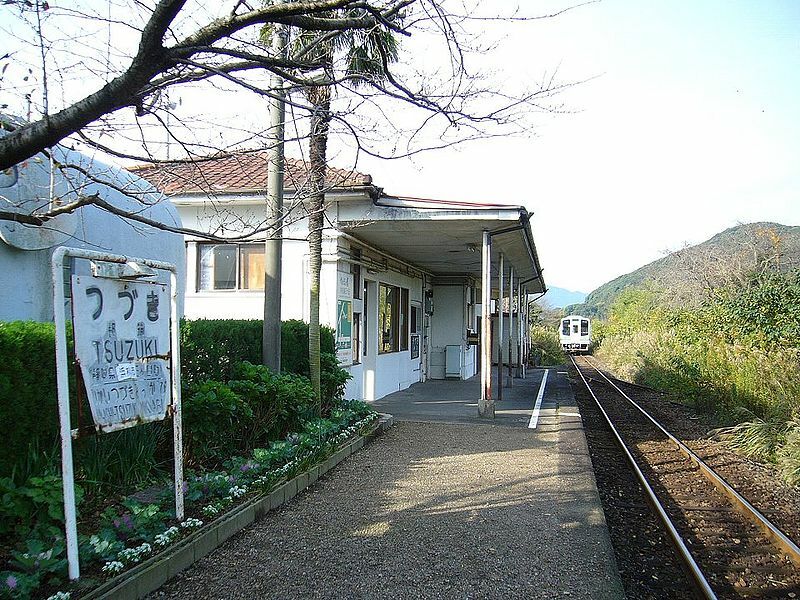 Sunza Station was established on May 6, 1955 as a station of the Japan National Railways Futamata Line. After the privatization of JNR on March 15, 1987, the station came under the control of the Tenryū Hamanako Line. Sunza Station is an unmanned station with single side platform and no station building. 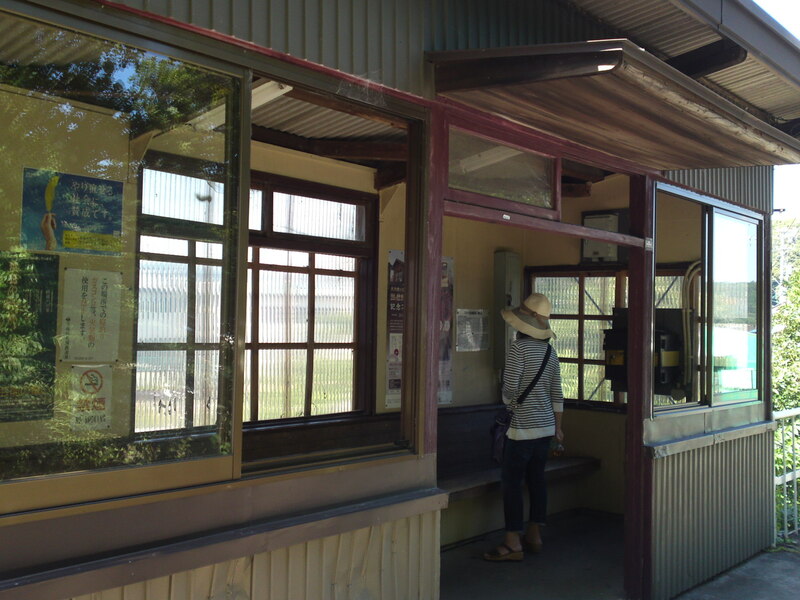 A small rain shelter for passengers is located directly on the platform, and faces towards nearby Lake Hamana. Hamanako-Sakume Station was established on April 1, 1938 as a station of the Japan National Railways Futamata Line with the completion of the Kanasashi-Mikkabi extension. Freight services were discontinued from 1962, and small parcel services from 1970, after which time the station was no longer manned. After the privatization of JNR on March 15, 1987, the station came under the control of the Tenryū Hamanako Line. Hamanako-Sakume Station is an unmanned station with single side platform. The station building doubles as a local cafe. 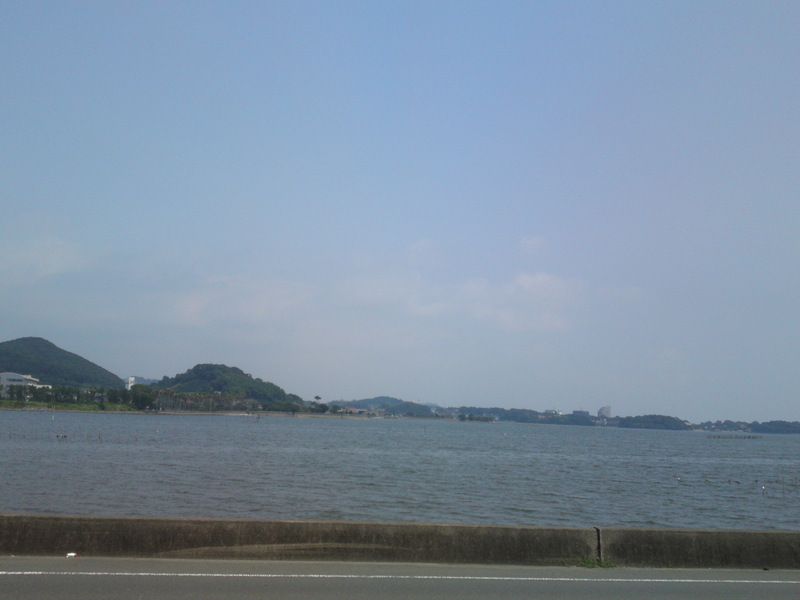 The station is located directly on the shores of Lake Hamana. Higashi-Tsuzuki Station was established on July 8, 1953 as a station of the Japan National Railways Futamata Line. After the privatization of JNR on March 15, 1987, the station came under the control of the Tenryū Hamanako Line. 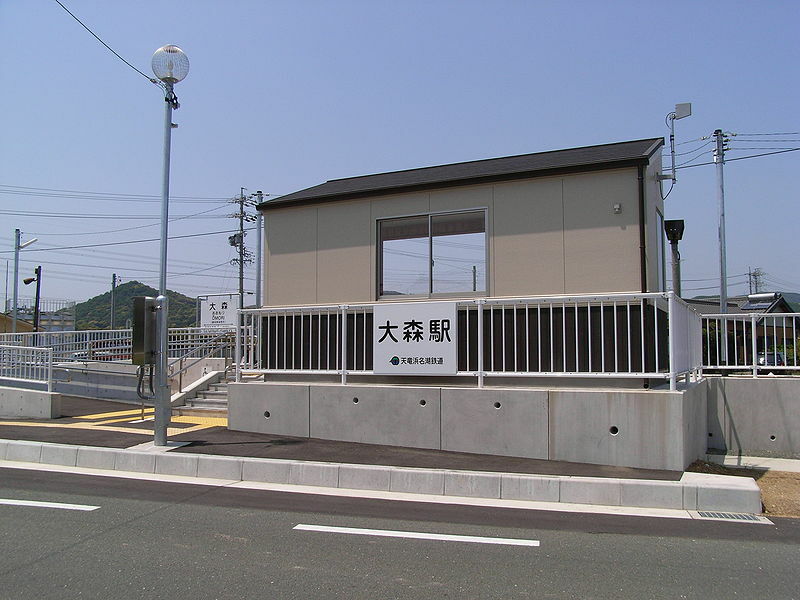 Higashi-Tsuzuki Station is an unmanned station with single side platform, with a small weather shelter built adjacent to the platform. Tsuzuki Station was established on April 1, 1938 as a station of the Japan National Railways Futamata Line with the completion of the Kanasashi-Mikkabi extension. Freight services were discontinued from 1962, and small parcel services from 1970, after which time the station was no longer manned. After the privatization of JNR on March 15, 1987, the station came under the control of the Tenryū Hamanako Line. 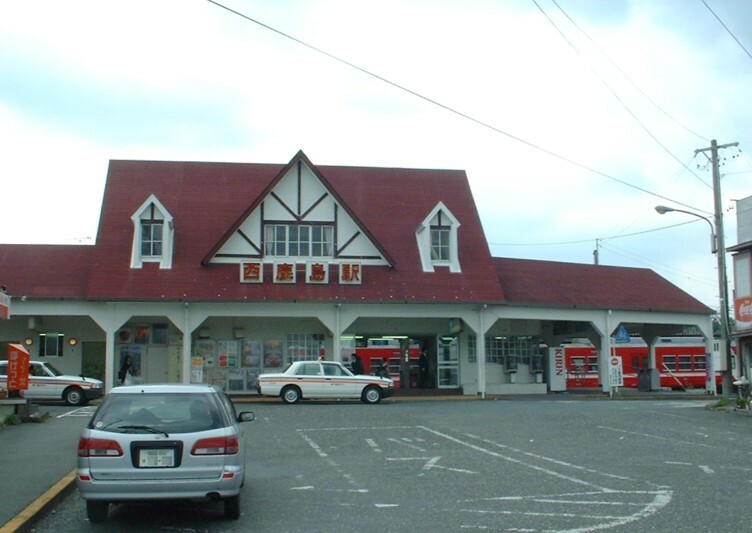 suzuki Station is an unmanned station with single side platform and a single-story station building which also serves as the local bakery. 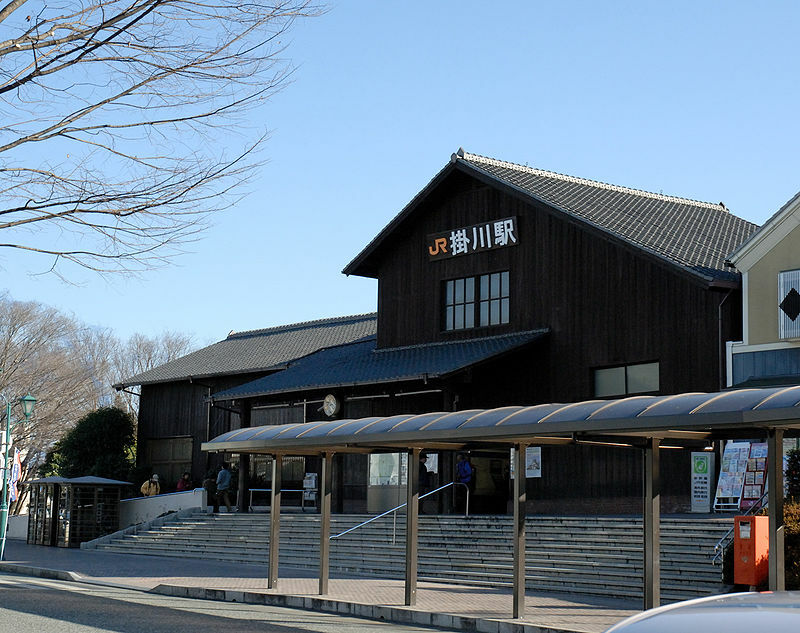 Mikkabi Station/三ケ日駅 , the last of the 11 cultural asset stations! 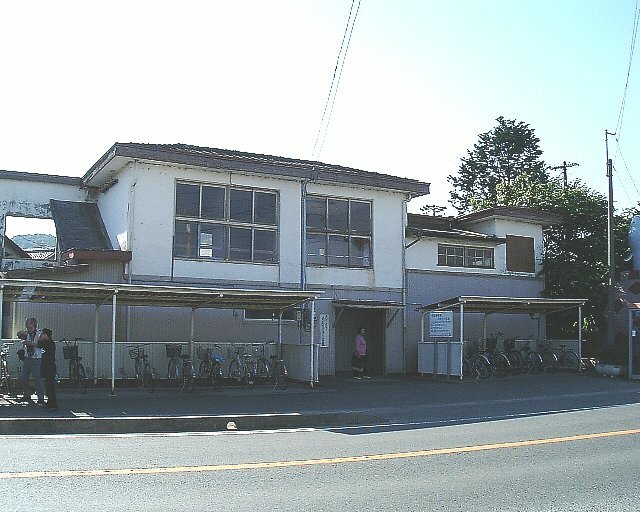 Mikkabi Station was established on May 6, 1936 as the terminal station of the Japan National Railways Futamata-nishi Line, with the other terminal at Shinjohara Station. By April 1, 1938, the line was extended onwards to Kanasashi Station. Freight services were discontinued in 1970. After the privatization of JNR on March 15, 1987, the station came under the control of the Tenryū Hamanako Line. 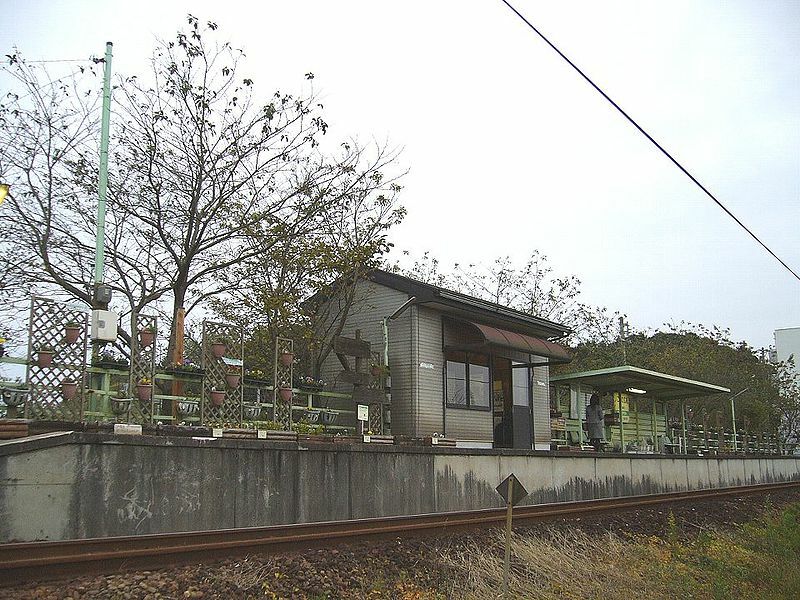 Mikkabi Station has a side platform and an island platform serving three tracks, with a wooden one-story station building. Okuhamanako Station was established on March 13, 1988 as part of the expansion of services on the Tenryū Hamanako Line after the privatization of JNR in 1987. Okuhamanako Station is an unmanned station with a single side platform. 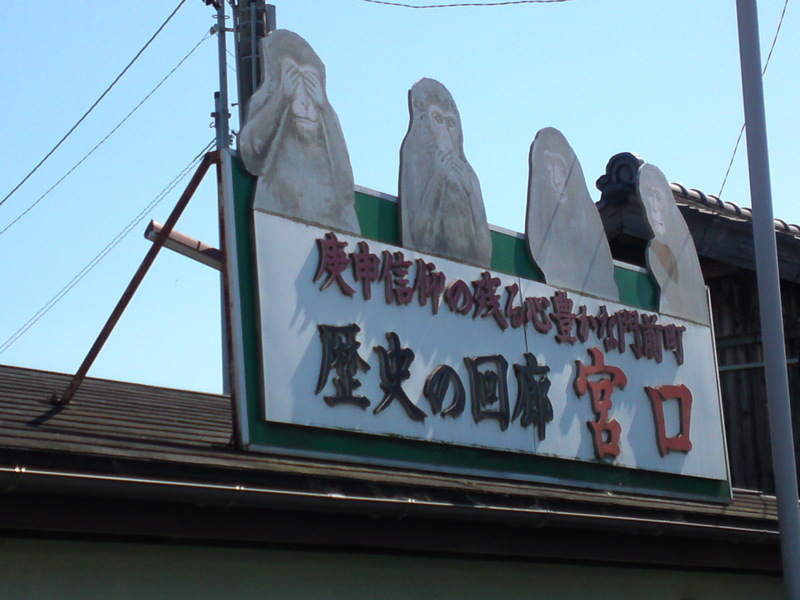 My favorite Eel Restaurant, Chigusa, is located near that station! 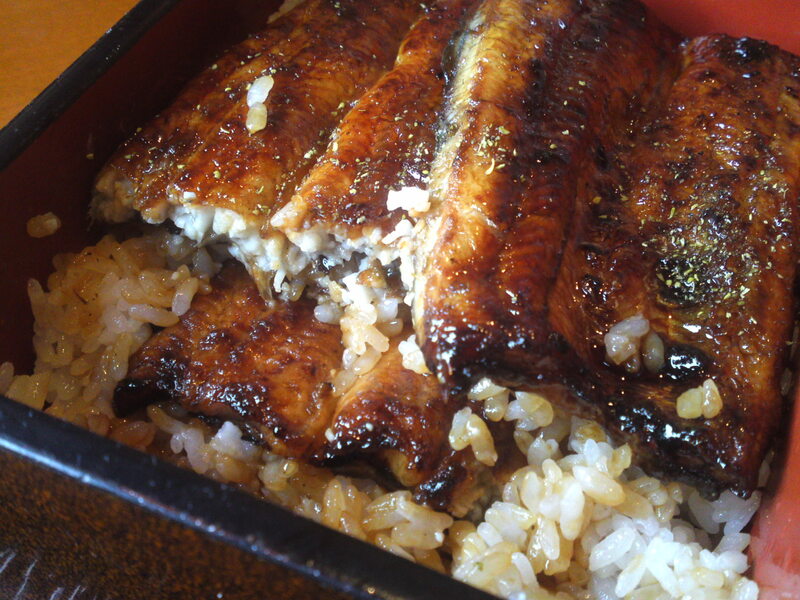 Related article on Chigusa Eel Restaurant HERE! One can see the Eels Toilet from the train! 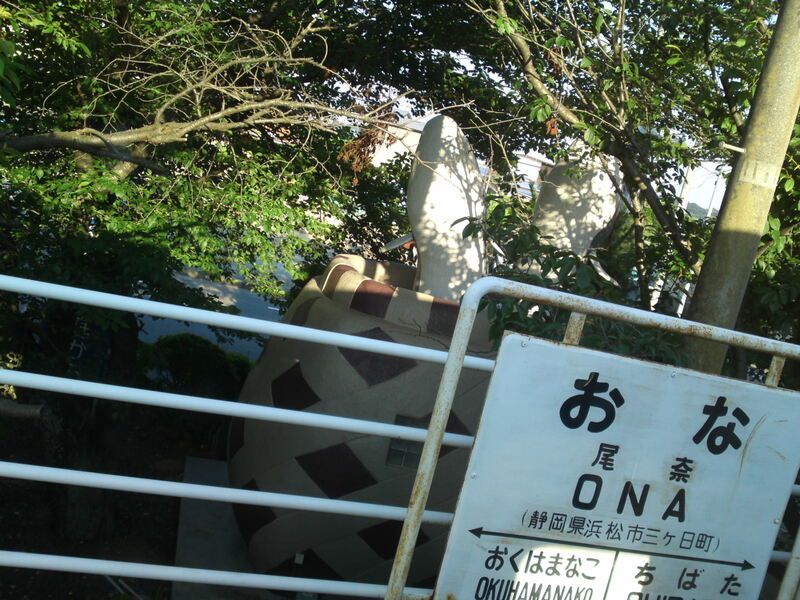 Ona Station was established on December 1, 1936 as a station of the Japan National Railways Futamata-Nishi Line. Freight services were discontinued from 1962, and small parcel services from 1970, after which time the station was no longer manned. After the privatization of JNR on March 15, 1987, the station came under the control of the Tenryū Hamanako Line. Ona Station is an unmanned station with single side platform and a two-story station building. 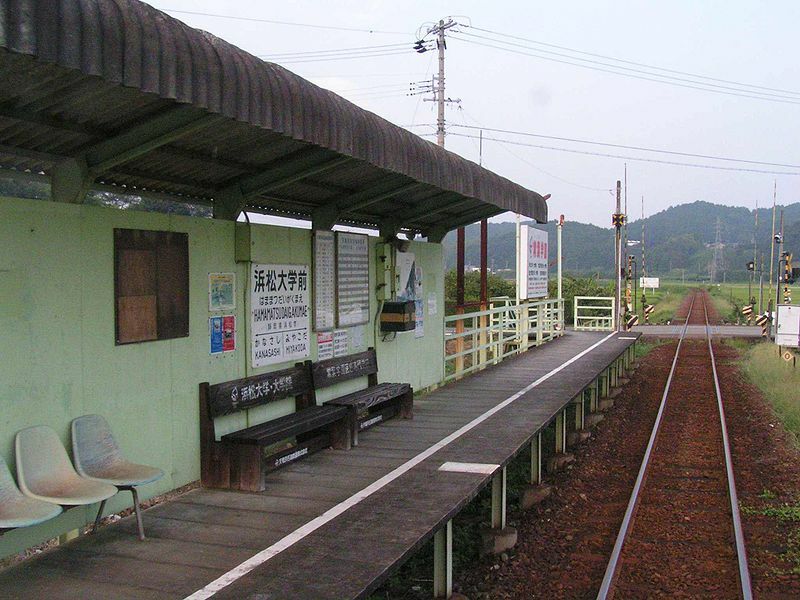 Chibata Station was established on December 1, 1936 as a station of the Japan National Railways Futamata-nishi Line. Freight services were discontinued from 1962, and small parcel services from 1970, after which time the station was no longer manned. After the privatization of JNR on March 15, 1987, the station came under the control of the Tenryū Hamanako Line. 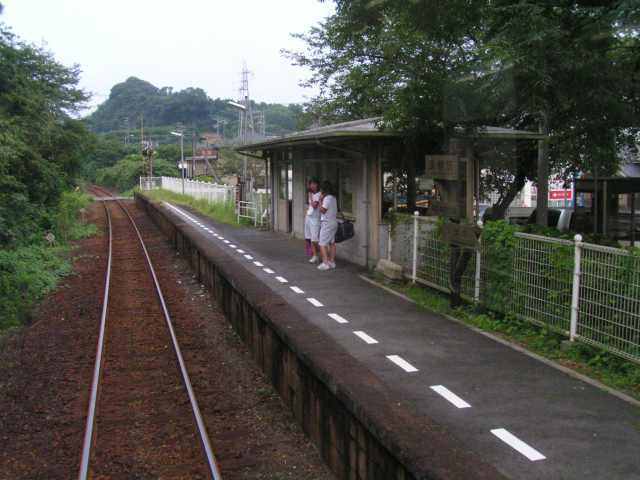 Chibata Station is an unmanned station with opposing side platforms serving two tracks. The two-story station building also serves as the local dental clinic. The newest station on the line, Ōmori Station opened on April 1, 2009. 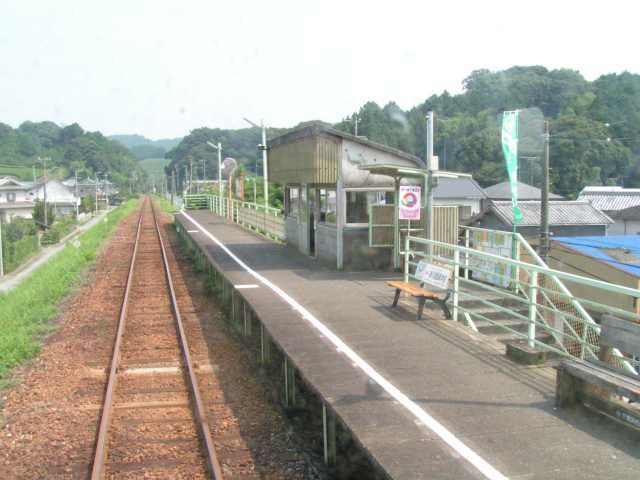 Ōmori Station consists of one side platform serving a single ground-level track. Asumomae Station was established on March 15, 1988 as part of the expansion of services on the Tenryū Hamanako Line after the privatization of JNR in 1987. Asumomae Station is an unmanned station with a single side platform. Shinjohara Station (新所原駅 Shinjohara-eki) is a railway station in Kosai, Shizuoka, Japan, on both the Tōkaidō Main Line and the Tenryū Hamanako Line The station is 282.4 rail kilometers from Tokyo and is a terminal station for the Tenryū Hamanako Line. 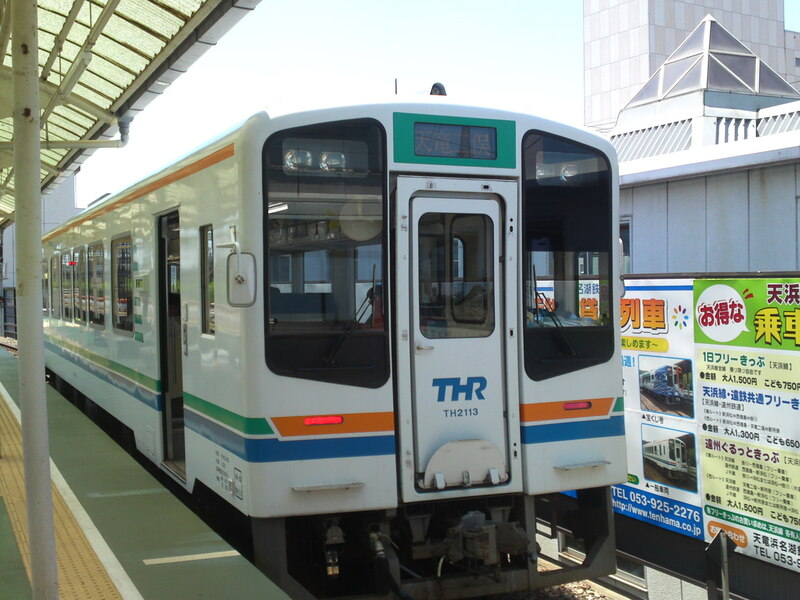 The station serves both Kosai, and a portion of Toyohashi city. The border between Shizuoka Prefecture and Aichi Prefecture bisects the platform of Shinjohara Station.